BEAU + LUCI, a nationally touring and recording Sister-led Americana Rock Band based in Atlanta, Georgia, enchant audiences with hypnotizing harmonies and bluesy melodies steeped in the mystery and folklore of the Okefenokee Swamp, "the land of the trembling earth." Growing up with the rich heritage and spirituality inherent to the southern swamplands surrounding their hometown, Waycross, Georgia, has shaped their lives and the essence of their innate storytelling craft. These Sister Sirens mesmerize audiences with spellbinding lyrics, alluring melodies, and rootsy Swamp Rock incantations, existentially calling to audiences of all ages and walks of life. 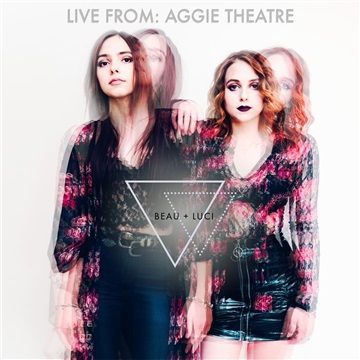 With building excitement from their 2017 release and year-long national touring, the two sisters have taken their signature earthy, yet lushly textured, folk-rock harmonies from their EP "Fire Dancer," summoned their deep-rooted classic rock influences into a riveting 2018 release, "BEAU + LUCI: Live From Aggie Theatre (Featuring The Howling Tongues)," to bring fans worldwide the opportunity to share in this cross-country experience, personally.